Dog Film Festival: PROGRAM #1 “LIFE WITH DOGS"
A portion of the proceeds to benefit Maricopa County Animal Care & Control. The NY Dog Film Festival™ is a philanthropic celebration of the love between dogs and their people, offering dog lovers a shared audience experience of canine-themed films from around the world that inspire, educate and entertain about the human-canine bond. 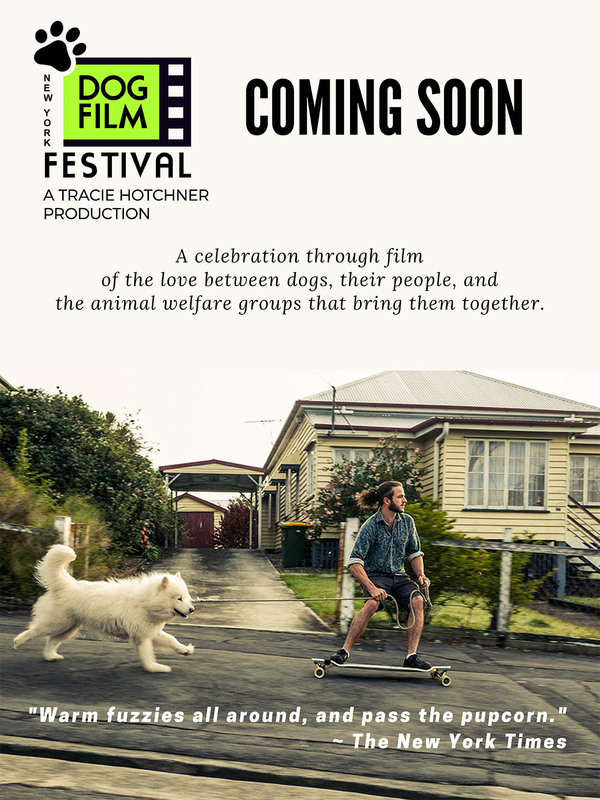 With a New York City premiere every fall, the Festival then travels around the country, supporting local animal welfare groups which bring people and pets together, along with our national partner and beneficiary, Dogs Playing for Life. PROGRAM #1 “LIFE WITH DOGS"
HARVEY & HARMONY (1 min) Doggy speed dating and where it can lead. BETA (13 min) Jon Lefkowitz creates a delightful tale of a newly weds and a newly adopted dog, raising the question: can our dogs understand us and what they are saying in return? ZIGGY (13 min) Marian Dealy’s cautionary tale of what can happen to people who do not meet all the demands of a cheeky little Chihuahua. DOG YEARS (4 min) Sam Hearn’s voice-over of this grainy film is a bizarrely funny depiction of the thoughts of a dog who questions his owner’s frequent absences. REWIND (4 min) Razor Jane’s music video starring her own very unusual dog, who has to run away from home to find out the true value of his first human love. LA VIE D’UN CHIEN (The Life of a Dog) (with subtitles) (13 min) Director John Harden’s sci-fi “film noir” set in Paris, 1962. A lonely scientist devises a formula that transforms him into a dog and creates a social revolution. MY TRAIL DOG [5 min] Dean Leslie’s lyrical look at a man who runs the Alps for the joy of it, with his devoted dogs. DENALI [8 min] Ben Moon honors Denali, his husky-pit mix. WALKIES IN THE WIND [1 min] Toby Mattison’s charming animated film. BISCUIT [5 min] The most fearlessly athletic little dog you’ll ever meet. ONE MAN & HIS DOG [4 min] Dean Saffron’s look at one Australian man’s joyous skateboarding lifestyle with his Samoyed.